To pierce or not to pierce? Many parents can relate to the dilemma that inspired Shelly Coffman. Her daughter started asking to get her ears pierced when she was three years old, but Shelly felt she was too young. Stick-on earrings are frustratingly un-sticky, so Shelly tried cutting pieces of her son’s temporary tattoos and applying them to her daughter’s ears. It worked. With that discovery, Shelly’s creativity took off and Poppy Drops was born. Temporary tattoo earrings mimic the look of piercing, but without the pain, permanence or risk of infection. For kids, the designs are perfect. Poppy Drops tattoo earrings are fun, fresh and filled with personality (they work on skin and fingernails, too). For parents, it’s the health and safety of the tattoos that matters. Shelly’s tattoo earrings are made with food-grade vegetable dyes, and they’re manufactured in California. Poppy Drops’ starter pack includes 36 pairs of earrings and applicator, and the party pack bundle has eight mini pots (each with three pairs of earrings), eight bags, and an applicator. If your kids are curious about piercings but they’re not ready for the needle, try Poppy Drops. It’s an easy, worry-free way to let kids express themselves. Hello, Hello! 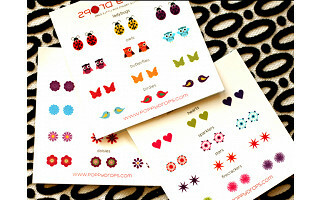 I’m so excited to be here today and to share Poppy Drops, our fun & fabulous temporary tattoo earrings, with all of you on Daily Grommet! I'm a mama of three, wife (of only one thank goodness!) & lover of all things navy & white, anything made with hazelnuts, yoga and the smell of baby toes. I created Poppy Drops as a simple solution for those (like me) not quite ready to pierce their little girl's ears. With Poppy Drops they can have their cake & eat it too, so to speak! I'm here and would love to answer any and all of your questions so...ask away! I have this exact problem ... about how long do they stay on? Generally like a standard temp tattoo? You can always find this type of information in the details tab, located below the video, next to the story tab. These typically last up to a week, however one of our testers said they lasted almost 2 weeks. Be sure to let us know how you like them, we'd love to hear about your experience. I am curious as to what is in the applicator. I take it it has in it some type of material to make the tattoo adhere. What is it made from? Also, what is the applicator itself made from? I have three great-great nieces who would love these. The applicator fits perfectly on a finger and has a sponge tip. You simple wet the tip, apply to the back of selected earrings, hold for 10-15 seconds until moistened and then remove paper backing. The size is great for little ones who want to participate! Hope that helps. this idea is far from "organic" to poppydrops- I'm all about choices- but let's keep it factual. Shelly did NOT come up with this concept! binkdkids.com established 2009 by me- a Mom of 4! 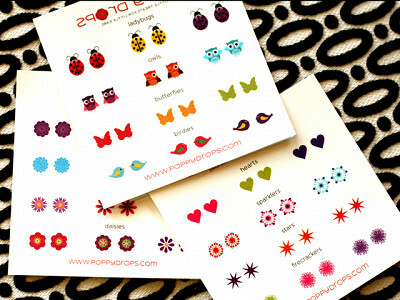 We'll just see where the consumers are purchasing their temporary tattoo earrings. @ Cara - I know exactly how you feel when you are a product creator and you see someone else doing the same thing. It's tough because you are so passionate about what you do. Before coming to Daily Grommet I was a product creator and had many product creator friends. We learned quickly that multiple people often come up with similar ideas. The good thing is that there is always room for each version to succeed. Martha Stewart didn't invent sheets but she was able to make a niche for herself. It's best to concentrate on your own business, create your own differentiation, and wish each other the best of luck because if the concept as a whole is accepted, you will both benefit. We wish you success as well as you grow your business. I wanted to chime in about how long they stay on. My 6 year old daughter was one of the testers and hers have actually lasted over two weeks. You'll likely have your daughter asking for new designs before they wear off however! She loves them. We had a question that came through to Customer Support and I wanted to clarify here in case anyone else has the same question. In the details when you see that the starter set includes 36 sets of earrings, that equals 72 individual tattoos. Also - in each mini pot for the party packs, there are 3 sets of 2 earrings that equals 6 individual tattoos in each mini pot. These are a variation of the most popular tattoos, chosen by the founder. Thanks to everyone who participated in the Poppy Drops launch day! We're thrilled to be partnering with Daily Grommet and hope you continue to have fun with our Poppy Drops temporary tattoo earrings. As always, should you have additional questions please let us know... we are always available to help! All the best, Shelly & The Poppy Drops Team. 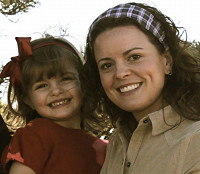 Many parents can relate to the dilemma that inspired Shelly Coffman. Her daughter started asking to get her ears pierced when she was three years old, but Shelly felt she was too young. Stick-on earrings are frustratingly un-sticky, so Shelly tried cutting pieces of her son’s temporary tattoos and applying them to her daughter’s ears. It worked. With that discovery, Shelly’s creativity took off and Poppy Drops was born. Temporary tattoo earrings mimic the look of piercing, but without the pain, permanence or risk of infection. For kids, the designs are perfect. Poppy Drops tattoo earrings are fun, fresh and filled with personality (they work on skin and fingernails, too). For parents, it’s the health and safety of the tattoos that matters. Shelly’s tattoo earrings are made with food-grade vegetable dyes, and they’re manufactured in California.